The picture below has been used on the page 'The Glenn Miller Mystery' to show the American Red Cross Officers Club in Bedford (see page). Howard Roth had written the piece several years ago and kindly sent the picture to add to his writing at the time. To my knowledge it is one of the few photographs remaining of the Club. However, in November 2008 I was contacted by mail with a question as to the identity of the woman in the picture. In the subsequent correspondence with David Fiddimore he was to reveal that this could be one of the few photographs of Emily Harper Rea. She had been posted to the Officers Club in 1944 where she was Senior Staff Assistant and as Howard Roth had written in his accompanying article it was also here that Miller had been seen on the very night before his final flight from Twinwood. Emily had been chosen to present Captain Glenn Miller with his Majors oak leaves when he was promoted from Captain to Major. In turn he gave her his Captain's bars as a keepsake. Indeed this special relationship that Major Glenn Miller had with Emily was to turn out to be most poignant when her young life was to end as abruptly and equally tragically as his own when she was killed in a B17 air crash on the Isle of Man in April 1945. All they found to identify Emily was her hipbone and her purse, which still contained Glenn's Captains bars - all were buried at Madingley in Cambridge. Emily Harper Rea was born in Madison, Indiana on 25 October 1911, and educated at Madison High School, and Hanover College, Hanover, Indiana. There are traces of her still in the school year books of the period. Her first job was in a bank, but she went on to become the PA to two state governors in turn. She joined the American Red Cross as a Staff Assistant in January 1943, and worked in the USAAF Officers’ Club in Bedford as a Senior Staff Assistant in 1944. 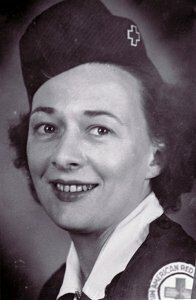 She got a posting to Paris, where she was Programme Director at the American Red Cross Grand Central Club in Paris from late 1944 through to 1945. I might have misplaced her in the Bedford club in September and October of 1944; who knows, perhaps she was revisiting old haunts? Unmarried at 33 – a little unusual in the 1940s – she seems to have made an immediate positive impact on all who met her. One old USAAF man from Thurleigh remembers her as " mother, kid sister and girlfriend " all rolled into one, and " one of the very best ". She was killed as a passenger on Combined Operations, a B 17 that crashed on the Isle of Man on 14 April 1945 in thick weather, just 19 days before the end of the war in Europe. The war weary but serviceable bomber was on a flight between Thurleigh and Langford Lodge in Ireland. 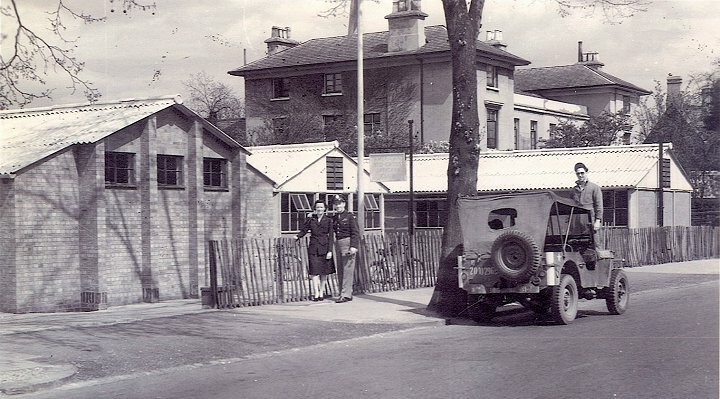 Langford Lodge was a recognised R & R destination for the US forces, and it is probable that most of the five crew and six passengers were on the flight for a few days escape from the war. The reason for Emily’s presence on the flight is maybe a little less certain: two other theories have been put to me but neither has been easily verifiable. The least plausible makes the best story. Emily left Paris on leave a few days before the announcement of the death of President Roosevelt. She spent a few days in London with friends, before moving up to Bedford and Thurleigh to be among the folk she knew best. A story goes that she was on the flight to Langford Lodge to catch an onward trans-Atlantic connection to Washington for a memorial service to the dead president; one of the few Americans brought home from Europe for it, because of her acquaintanceship with the President from her days as PA to politicians. 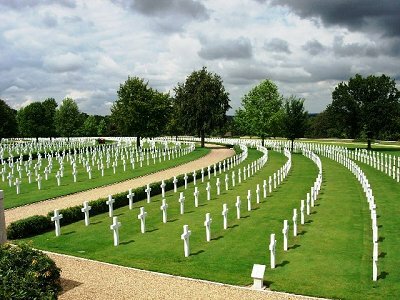 Several of the dead from Combined Operations were buried at Madingley, and moving contemporary photographs show hundreds of distressed service and civilian mourners, most of whom were there for Emily: her coffin is a small mountain of flowers. Among the personal letters of condolence received by Emily’s parents was one from one Mrs Michael Bowes-Lyons, an aunt of the present Queen. The written and oral memoirs of those servicemen who met her are shot through with affection: it is almost as if it was impossible for someone to know her, and not fall a little in love with her. The letters from ex service personnel are shot full of undisguised affection for her - even after sixty years: she is one of their golden memories. One describes her as "mother, kid-sister and girl friend all rolled up together" and her death was a massive shock to Thurleigh Field. I came across it on a Google images search for photographs of the American Red Cross Officers Club in Bedford during the 1940s. Can anyone tell me anything about the photograph that you have published. It is important to me because I believe that the woman in the photograph could be Emily Harper Rea. The shape of the face, hair style and uniform are just right, although the image is too small to identify absolutely. The following photographs supplied by David have been constructed to see if and where similarities exist between the known photographs and the one originally published (see above and the original page). With any photographs that are enlarged to this magnification there is always facial detail missing that could confirm either way whether they are of the same person. 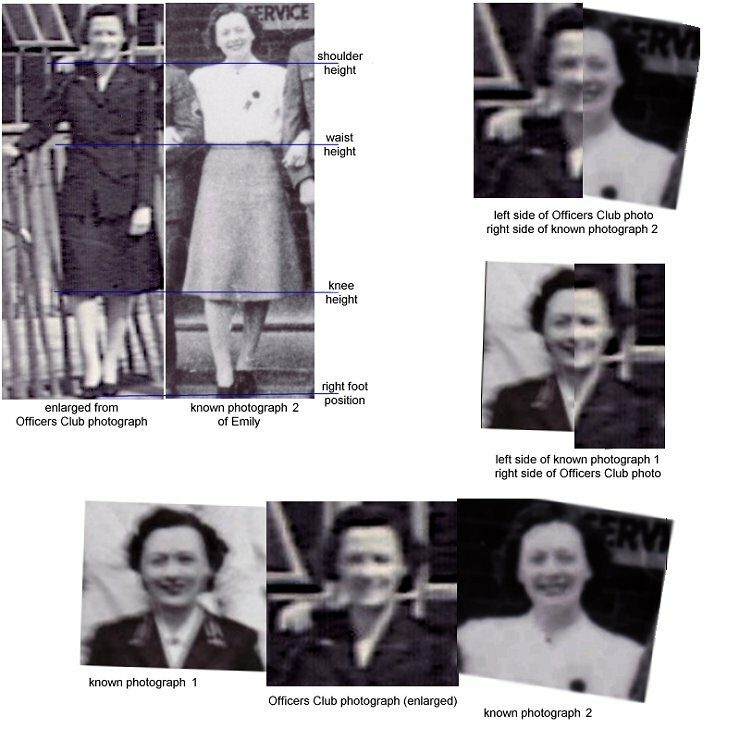 Given this percentage of missing features there is still much to notice in the similarity of the photographs. The uniform is right (it's an ARC uniform), head shape right, planes of the face right, hair and hair style about right, facial features all in the right proportion to each other - but not quite distinct enough to be 100% certain...and the place is right of course. The evidence does suggest this is Emily Rea. Maybe the face a little slimmer than the earlier years, but the stance and build is undeniably similar. Identifying a photograph of someone long gone is always suprising and somewhat moving as if suddenly they are alive again. The sounds of the time recaptured, the voice and laughter of this vibrant young woman heard again. Maybe one day we may find out who the Flying Officer and his driver were and the reason for this impromtu snapshot of probably their last days in England before, with luck, returning to their homelands. For Emily and so many others like her she would be staying here in England. Email if you would like to add any further observations or comments.